According to my home buying experience I am much older than I appear. While only being 37 years old, I have personally bought 4 different homes and sold three across three different states, after preparing each one of my homes for sale. Each home buying and home selling experience is different because of the circumstances surrounding its sale and purchase. However saving money when trying to get the most of out of your home is always the same! Getting your house ready to sell is a very important matter. 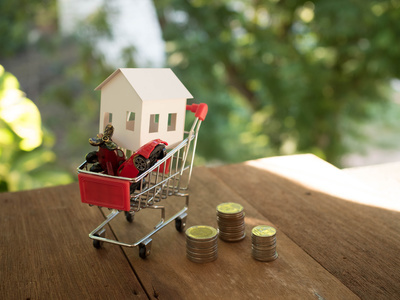 After talking with a couple of the realtors I have used in different markets, they have similar perspectives on what needs to be done to spend less while showing off the true value of your home! Please note, it might involves staging your home for sale when preparing to sell your house. Right here in Sioux Falls, realtor Chelsea Fortney was quick and efficient at returning not only this email request for ideas, but also quick and easy to work with when transitioning from living in Kansas City, MO to Sioux Falls, SD. She suggests these low cost ways to get the biggest bang for your buck when selling your home – How to get your house ready to sell? PAINT! Neutral and light: it makes such a big difference and freshens things up. Yard upkeep and clean up: it is a big part of first impression. 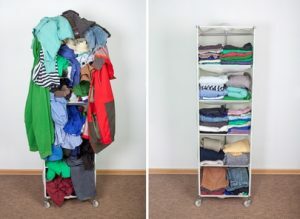 De-clutter! Deep clean! Costs nothing, but time! Small cosmetic touches like cabinet hardware, door handles or light fixture upgrades. When preparing to sell your house you should deeply consider the list above and at least apply some of the above. These are small investments that might help you get more out of your home. I bought and sold my 3rd home with Janet Organ out of Kansas City. She was instrumental in my transition from Indianapolis, IN to Kansas City and the moving from Kansas City to Sioux Falls, SD. When going into our purchase in Kansas City, she was able to show us 22 homes in less than 3 days. It was exhausting! Some of the homes we were well prepared for sale. Some people staged their home for sale and got it ready for us. Some did not. We actually ended up buying the first home she took us to, and it was actually her listing as well. Janet’s short list of what you can do to increase your homes perceived value was similar to Chelsea’s but she added a little more detail to it. 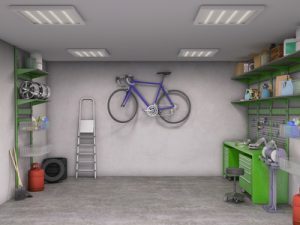 Cleaning doesn’t just mean vacuuming your home, it means cleaning and de-cluttering your garage, closets, and even your basement. Replacing the hardware on your front door and repainting the door. This is the entry into the home and it needs to be seamless! If the realtor can’t unlock your door, it’s going to set off an internal alarm with the potential buyers that if the door lock doesn’t work, what about the rest of the house? Janet recommended home staging for us when we sold our home in Kansas City, and I have to say it was well worth every penny! A crazy hippy lady came into our home and told us where to move our furniture and how to hang paintings that changed the entire feel of our home. I actually felt my home was more inviting and clean after home staging than I did while living in it! Home staging only cost us roughly $200. Seeing some of these ideas repeated by two different realtors and HGTV should be a sure sign that they are important when selling your home! Let’s see if all of these things can actually keep your selling investment to under $1000! Doing all of the above to help improve the curb appeal of your home and getting your house ready to sell only comes to $645. These prices were pulled from Home Depot, Target and Wal-Mart and were mid range, not the bottom of the line and not the top of the line either. You can obviously spend more or less in any of these areas, but just make sure you do a good job otherwise it can actually be detrimental to your selling process! Updating paint is only good if you do a good job! Installing new lighting is only good if you don’t get injured doing so and that the light actually works after your ‘installation.’ If it is too risky to DIY, You might consider having a professional install the new lighting, especially if you aren’t familiar with how electrical wiring works! Having a professional do it should still keep you under the budget of $1000 for the entire sale prep. When listing your home for sale it is important to make sure your home is ready for sale. Everything should be in working order. Once the mechanics are all in line you can focus on presentation of the home. Create a friendly welcome for all those potential buyers. Think about seasonal color schemes that can be used to invite people into your home. Your clean home should be tidy and free of clutter. You should also consider staging your home for sale. Using a little time, a small amount of cash and a little elbow grease can make a huge impact when trying to sell your home!